Baldrige Framework for Performance Excellence | Language Solutions Inc. Since 2008, Language Solutions has been studying, implementing and applying the Malcolm Baldrige criteria for performance excellence inside and out of our organization. The Baldrige Framework for Process Excellence is rooted in our process management. We’ve been actively involved in the Missouri Quality Award process, with leadership and project management involvement as Baldrige Examiners. 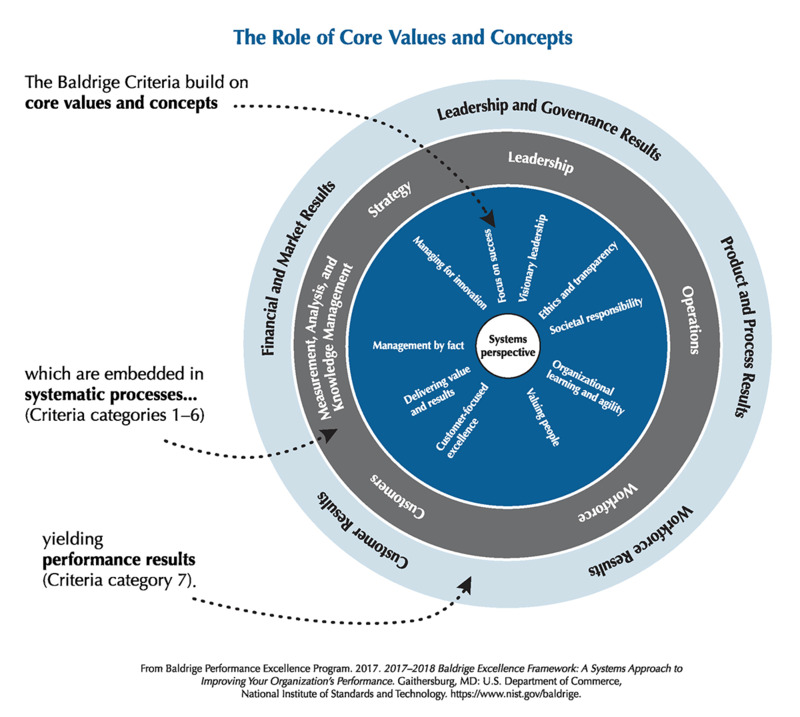 The Baldrige Framework is the most comprehensive and holistic framework we know that guides organizations through the process of achieving its mission and vision. As a service company, we must always strive for continuous improvement in order to reach excellent customer satisfaction, translation quality and accuracy, cost efficiency and innovation. To provide appropriate training to all members of the organization. We employ principles and methodologies (cause/effect analysis, Kano model and SWOT analysis) in our continuous improvement model. This is the foundation to our Localization Maturity Model that we developed. We are actively engaged with our clients to integrate the translation process within the framework of our client’s organization. As organizations grow and mature, so should their translation/localization processes. We provide the data, measures and tools to help our clients. We provide insight for clients into project performance through customized reporting. Our Voice of the Customer initiative has been one of our most valuable insights. We continue to use the Voice of the Customer process to capture real client feedback to improve our company. Leadership involvement in the process is crucial to excellence in process management. The Baldrige Criteria has us examine how our Senior Leaders’ personal actions guide and sustain our organization. In addition, it also has us measuring how we fulfill our legal, ethical and societal responsibilities. Our strategic process is driven by ISO 9001:2008 standards. In our annual Strategic Planning Process, defined in our ISO 9001:2008 process, we review our mission, vision and values, our customer and supplier inputs and our performance indicators to set the strategic framework for the new year. This allows us to be agile and respond to customer needs and strategic advantages and threats to better serve our customers in the future. Localization Maturity – this was specifically developed for our customers to help them succeed. We wanted to go beyond just great customer service and develop specific tools for our clients along with mentoring to help them on this journey. Our organization regularly measures, analyzes, reviews and improves its performance through the use of data and information at all levels. Ask us about our Key Performance Indicators and how it benefits you, the client. We use this data to constantly improve our organization and to share with others so that they may improve. The Baldrige Focus is on workforce capability and engagement that relates to our processes which better serves our clients. We collect and analyze key measures of workforce satisfaction and development. 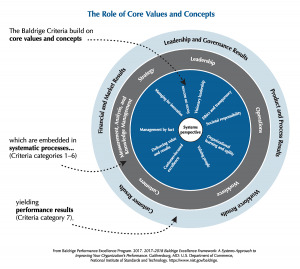 The Baldrige Operations Focus examines how our organization designs, manages, and improves its work systems and work processes to deliver stakeholder value and achieve organizational success and sustainability. The Business Results Category provides a results focus that encompasses our objective evaluation and our customers’ evaluation of our organization’s services, our overall financial and market performance, our leadership system and social responsibility results, and results of all key processes and process improvement activities.